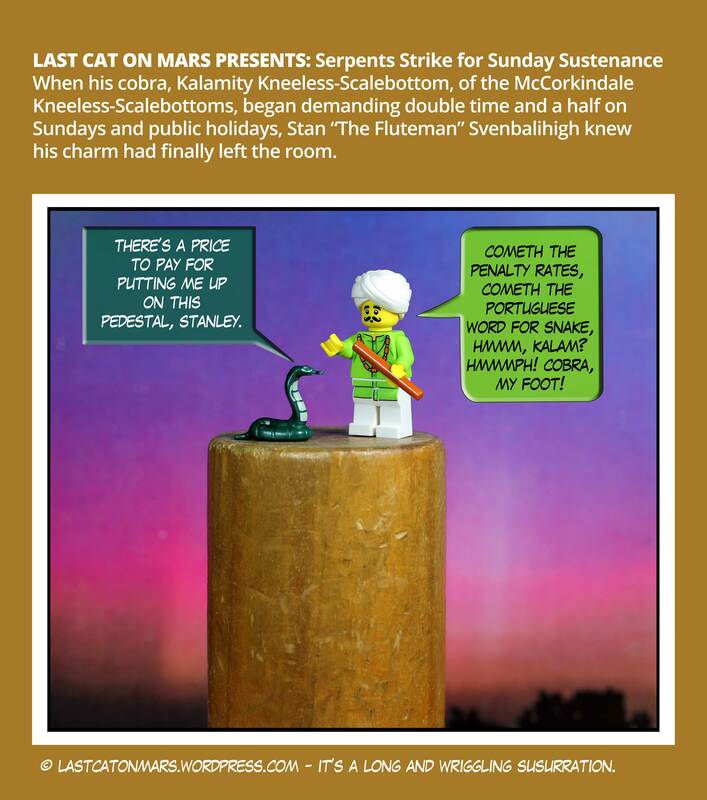 This entry was posted in Variety Show and tagged cartoon, cobra, comic, lego, minifigures, penalty rates, snake, snake charmer on June 24, 2015 by Jay Verney. 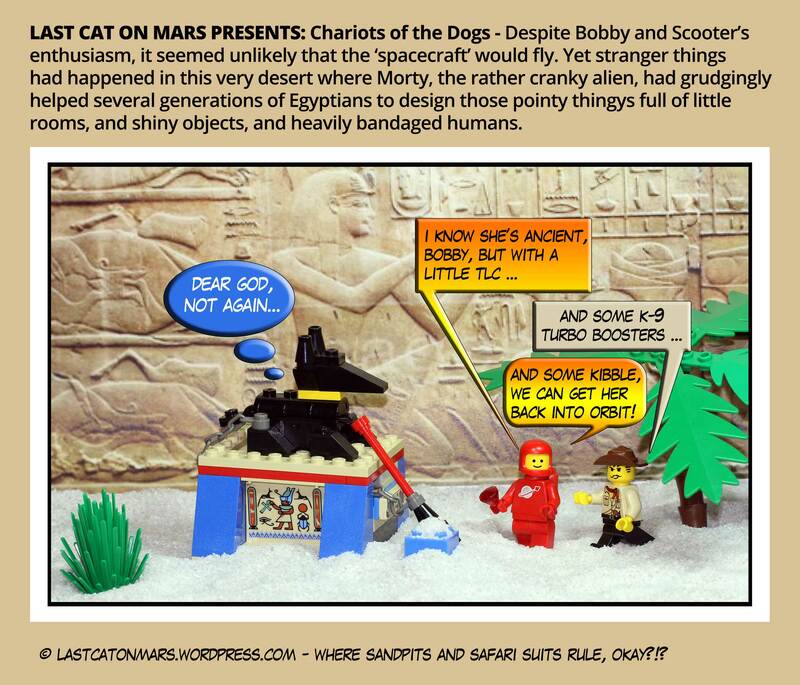 This entry was posted in Space, Variety Show and tagged astronaut, cartoon, comic, desert, Egypt, lego, minifigures, pyramid on June 17, 2015 by Jay Verney. 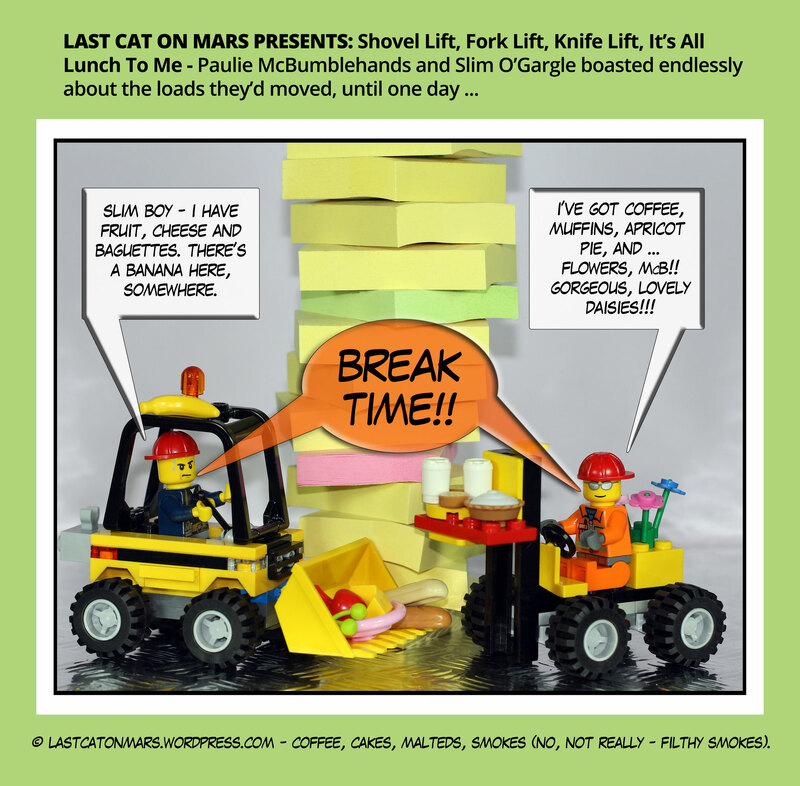 This entry was posted in Industrial, Variety Show and tagged break time, cartoon, comic, forklift, lego, lunch, minifigures, tractor on June 10, 2015 by Jay Verney. This entry was posted in Zombies and Such and tagged bicycles, Dr on Mars, Last Cat, lego, minifigures, other other tour, picnickers, zombies on June 3, 2015 by Jay Verney.